Matador’s stylish and clever Roast Rack and Skewers gives you the freedom to experiment with a range of barbecue cooking techniques. 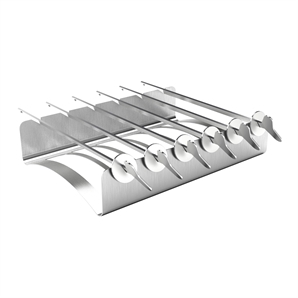 Create your own delicious kebabs by placing the 6 metal skewers on an upside down roasting rack inside our fully compatible Matador Roasting Dish. 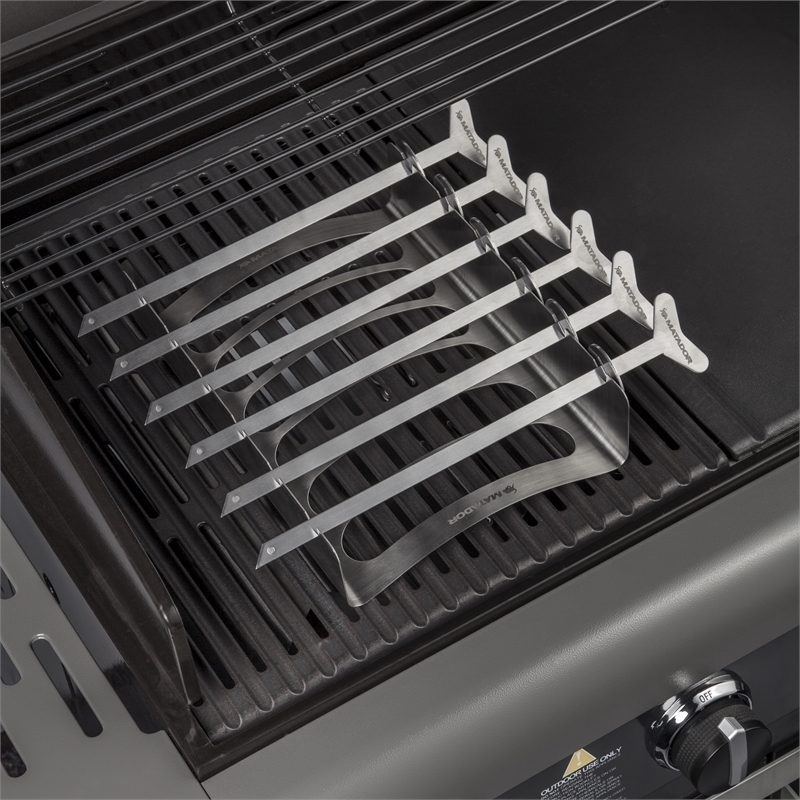 The long handles of the Matador skewers make turning and serving your kebabs safer and easier. You can also cook healthier roasts by placing the Roasting Rack in an elevated position to allow oils and fats to drip from the meat as it cooks. Made from quality stainless steel and dishwasher safe.